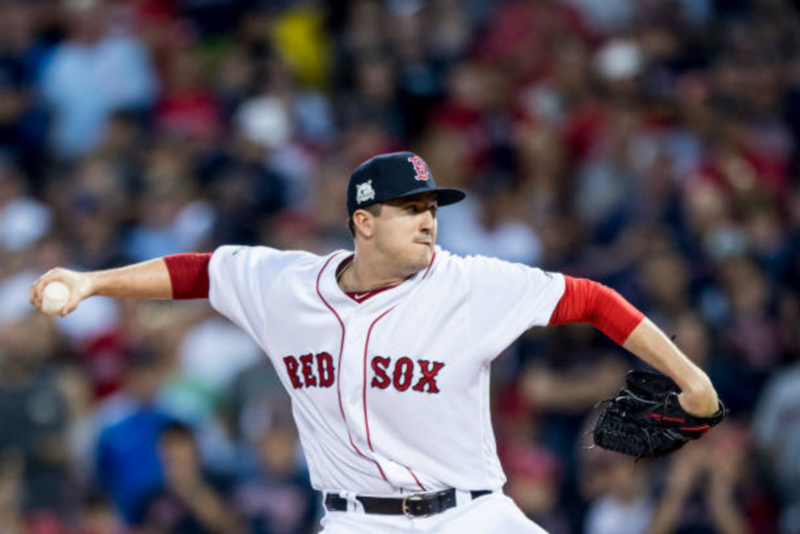 The Boston Red Sox placed reliever Carson Smith on the 10-day disabled list with a partial dislocation of his right shoulder. The injury occurred after Smith threw his glove in the team dugout in frustration after giving up a home run during Monday’s game. The Red Sox acquired Smith in a deal with the Seattle Mariners along with Roenis Elias for Wade Miley and Jonathan Aro, but Smith has spent most of his time with the Red Sox on the disabled list after undergoing Tommy John surgery early in the 2016 season. In his 18 appearances this season, Smith has a 1-1 record with a 3.77 ERA and 1.395 WHIP. While announcing the injury to reporters, President of Baseball Operations Dave Dombrowski stated that the injury had “the potential of being a major injury.” Smith is seeking a second opinion on the injury after an MRI on Tuesday. The rookie southpaw Bobby Poyner has been called up from the Pawtucket Red Sox to take Smith’s place in the bullpen. One comment on "Carson Smith Suffers Potentially Major Injury"